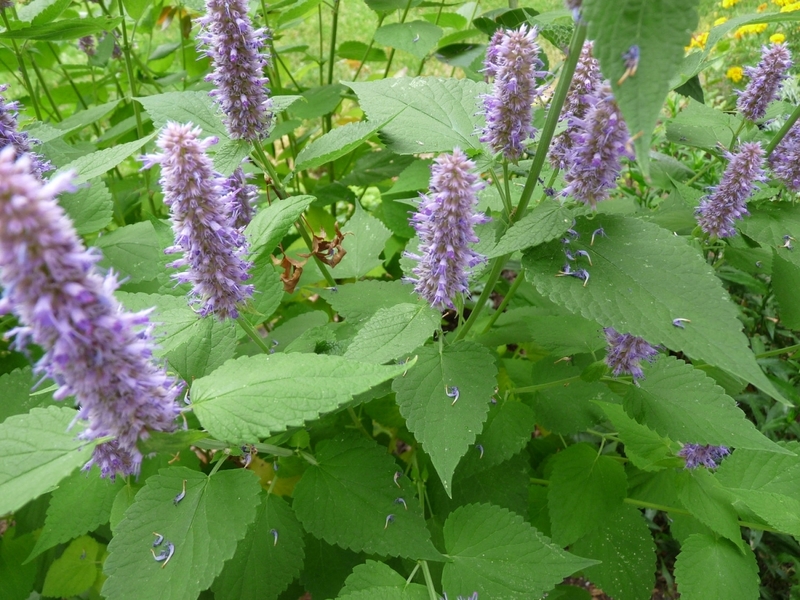 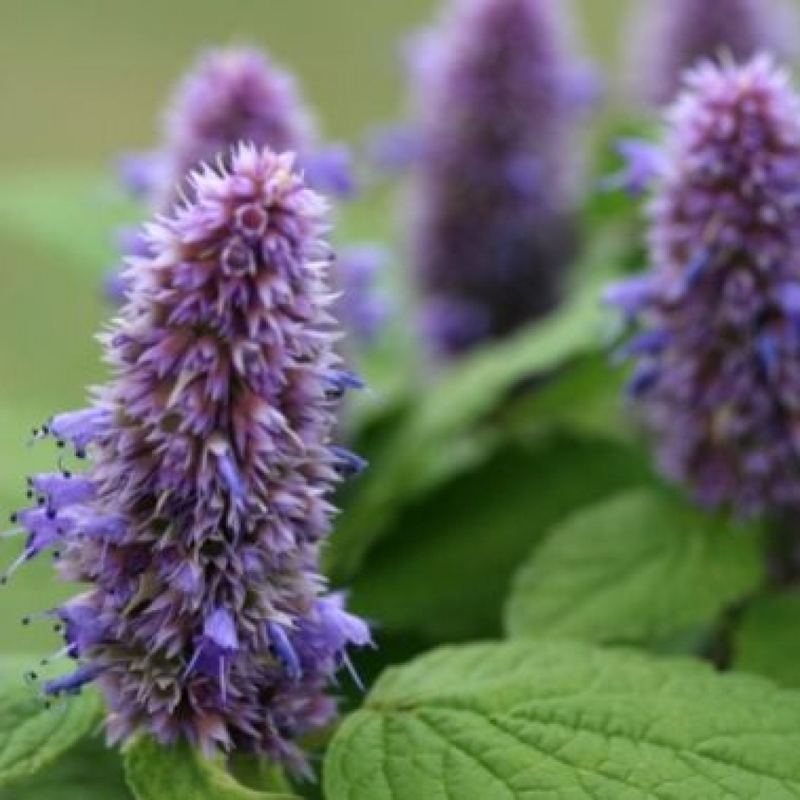 Korean Mint is at all multi-stem plants of 4 feet tall spikes That produces beautiful purple flower Which will attract bees and beautify the garden. Not a true mint at all, and does not spread. Use the aniseed flavored teas and young leaves in salads . 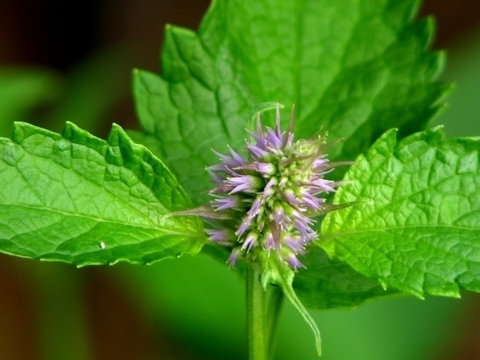 The anise flavored leaves are heart shaped with serrated edges and are eaten When young. 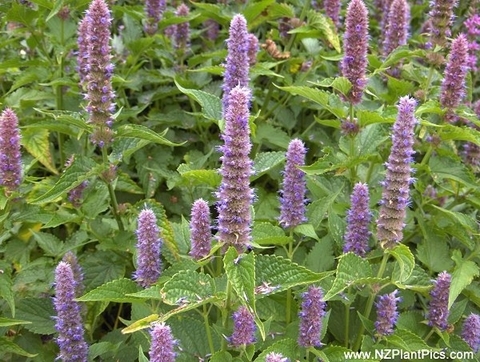 The tall vivid blue / purple flower spikes are long lived summer bloomers, making an excellent location addition to your garden border.